We love string beans. 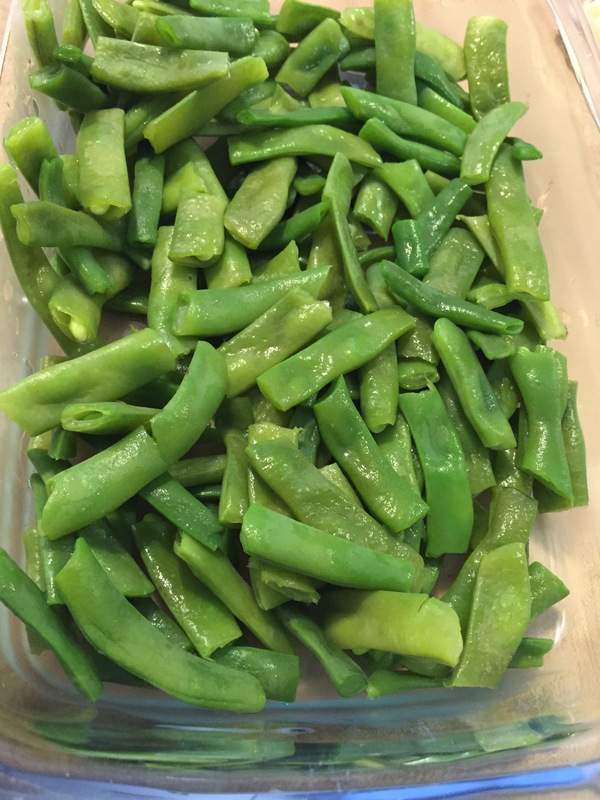 Along with broccoli, string beans are the number one vegetable at my house – every single one of the kids love them. Which means I’ve come up with about a thousand ways to fix them. I’ve boiled them, blanched them, sauteed them, roasted them, stir fried them…you get the picture. When the farmer’s market is open here in town I love to pick up beans down there. Many of the green beans at the supermarkets are the ‘stringless’ varieties, and that’s ok if that’s all I can get. But when they’re in season I buy every type, color and variety I can get my hands on. Which means I’ve continued a family tradition that’s at least six generations now…snapping and stringing beans. I did it with my grandmother and she told me about doing it with HER grandmother. And now my kids do it with me. You won’t often have to do anything to the supermarket stringless varieties but trim the ends. But if you have true string beans, pole beans or runner beans (all kinds of green beans), you’ll need to string them. It’s simple, and only takes a few minutes, and can be done ahead if you like. Here’s what you do. her end working in the opposite direction, then snap the bean into approximately 1 inch pieces. I usually work right into a colander, so that I can immediately wash the beans and drop them into whatever dish I’m about to make. That’s all there is to it! So go scout your own local farmer’s markets and see how many varieties of beans you can find. You’ll be hooked!